Concrete is exciting. Concrete, exciting?! Yes, you read that right: we take things and make them new again. Have you ever looked at your home or a part of your property and remembered why you fell in love with it in the first place? Or perhaps, you see it for its potential? Maryland Curbscape can take you back to those moments, or, in other cases, take you to those moments—creating excitement and generating pride where it may have been faltering (or completely nonexistent). 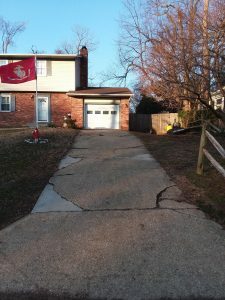 A project recently found us in the Cape Saint Claire area of Annapolis, where we were tasked with replacing the decades-old front walkway and driveway of a single-family home. We jackhammered the existing concrete leading up to the one-car garage to remove what had become broken and unsightly due to wear-and-tear, weather, and settling over time. The walkway also looked like it had become victim to the same elements, and we broke that up as well. We then took away the old concrete and poured new steel-reinforced concrete, a material designed to resist cracking and structural failure. 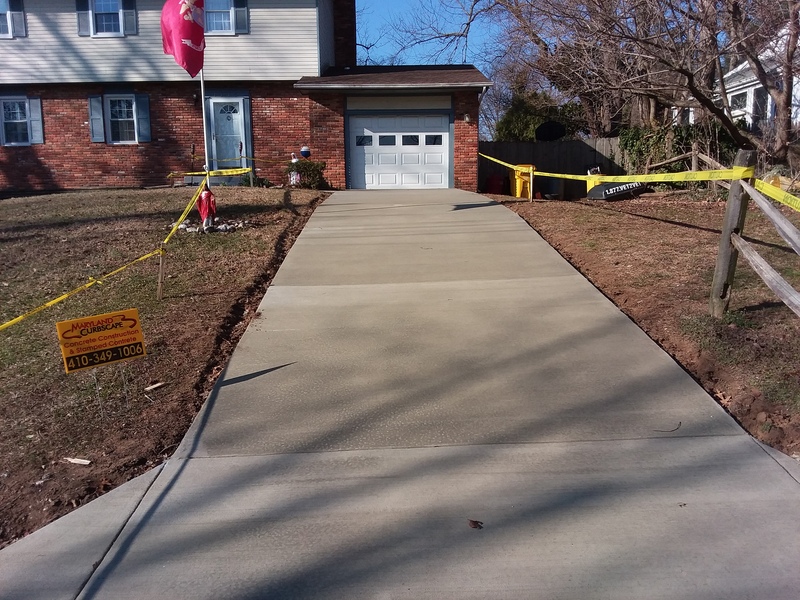 Our projects can take from one to several days, but in this case, and due to our crew’s efficiency and hard work, we were able to complete the job in just one day and the homeowners were able to park their cars on the new driveway within one week. For the walkway, freshly poured concrete can be walked on in as little as 24 hours, but we always recommend waiting 48 hours, just in case. (Better to be safe than sorry!) The owners are now left with a level, safe, and long-lasting “facelift” to their home exterior and driveway, giving the façade that new, exciting look after many years. Maryland Curbscape takes pride in giving homeowners and property owners cost-effective, simple ways to improve their existing concrete areas or completely revamp the look of areas that may require concrete. We’re also pleased to share that—circling back to taking the old and making it new—we can do it all in an earth-friendly respect. As common as with jobs of this variety, we’ll take old concrete that has been removed and recycle it, pulverizing it and storing the excess away to be used as “crusher run.” Crusher run is quarried material that contains dirt from previous jobs, dirt that enables it to cohesively bind together, making it ideal for driveway gravel for our future projects. 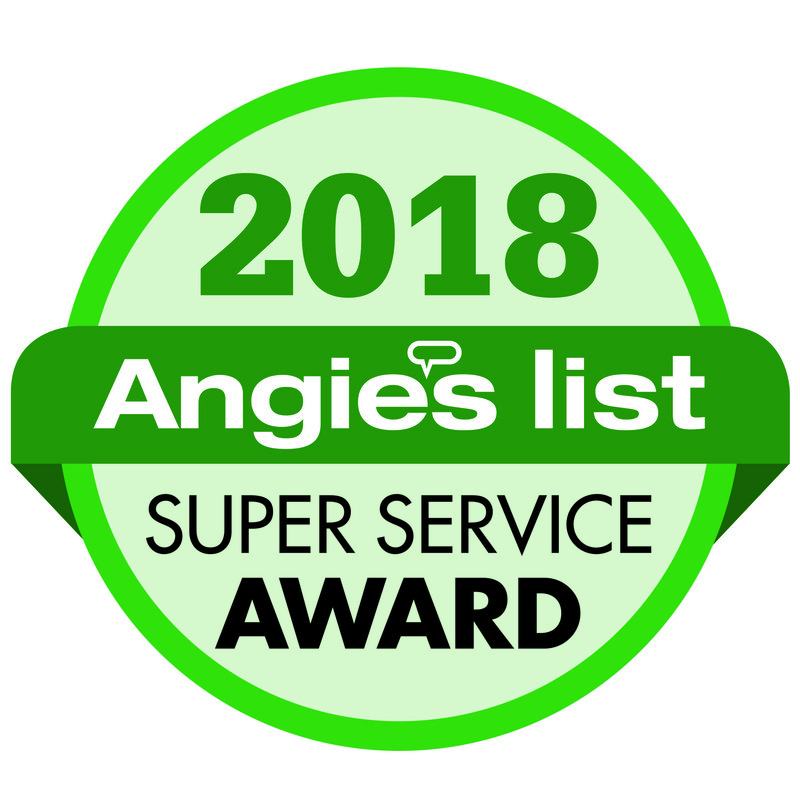 We tell you this so that you can feel encouraged and good about the new look of your home, and feel even better that you’re doing it in a green way. To hear more about our projects or other ways that we recycle our materials, please give us a call.